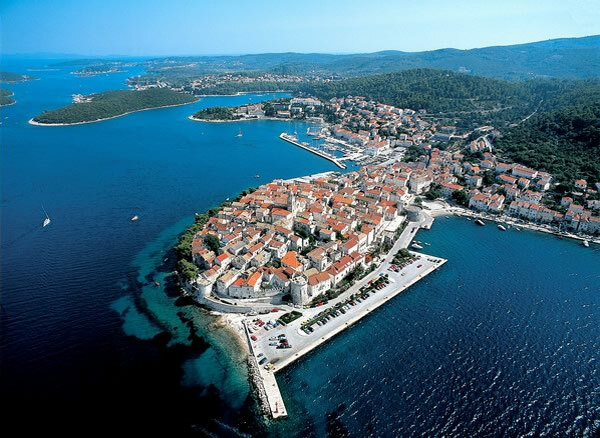 The island of Korcula is forever linked to the legendary explorer Marco Polo. Though there is no actual historic proof that someone named Marco Polo ever existed, locals claim he was born here and are happy to tell you all about it. But it’s Korcula’s magnificent Old Town, wonderful villages, beaches, terrific wine, rich island culture and being so close to Dubrovnik that draw thousands here. Lots of ferries and good island bus service too. Archeological findings here are amazing and accessible. Let’s start with Grad near Nakovanj, on the way to Loviste. At the top of the hill, you can still see the holes for gathering rain water and cut-out stairs on the south side where pre-historic dwellers made their marks. Then there’s the Psephisma, the country’s oldest written record, a 3rdC BC stone tablet written in Greek! It was found in the town of Lumbarda, a tiny fisherman’s village only 10 minutes by bus from Korcula Old Town, that is known for its vineyards and unique white wine called ‘GRK’. It’s also where the Vela Przina and Bilin Zal are—Korcula’s only real sandy beaches. If you love wine, the tiny village of Smokvica and the surrounding area are famous for its Posip and Rukatac, the best in Croatia. Also well worth visiting is Blato, in the center of the island, which boasts a l km long main street lined with linden trees, the second longest in Europe and Vela Luka, the main ferry port, a fabulous one hour drive from Korcula Old Town, on the western side of the island. High above the town, with a gorgeous harbor filled with pleasure craft, is Vela Spila, a partially covered mammoth hilltop cave that is more than 20,000 years old that you can walk to up the town’s Blue Path. Be sure to pick up a free copy of DiscoverKorcula either on Korcula island or in Split at the tourist offices and it’s also given out to ferry/catamaran passengers on some sailings.